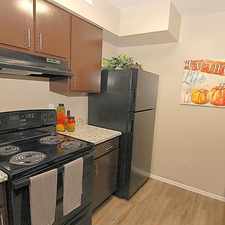 The rent at Lakes of Windsor Apartments ranges from $870 for a one bedroom to a $1,270 two bedroom. Apartments in this building are about 4% more expensive than the South Franklin average. This is a pet-friendly apartment. This apartment is in the South Franklin neighborhood in Indianapolis. 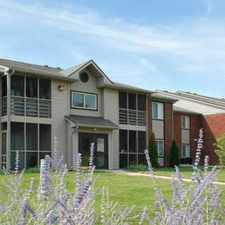 Lakes of Windsor Apartments has a Walk Score of 48 out of 100. This location is a Car-Dependent neighborhood so most errands require a car. True beauty abounds at Lakes of Windsor with picture perfect surroundings and a lush resort-like atmosphere. Enjoy an impeccably designed community of unique quality and detail where 1, 2, and 3 bedroom apartments offer elegance and special features. Here at the Lakes of Windsor you will find newly renovated apartments featuring Beautiful Plank Flooring, Sparkling Granite Counter-tops, and New Silver Kitchen Appliances. The convenience of nearby Greenwood and Circle Center Mall's, fine dining, entertainment and plenty of shopping creates the perfect location for your busy lifestyle. Community planned social activities, incomparable amenities and our dedication to "Beyond Your Expectations" service assures the most complete apartment living experience in the Indianapolis area. Explore how far you can travel by car, bus, bike and foot from Lakes of Windsor Apartments. Lakes of Windsor Apartments has minimal transit which means it is possible to get on a bus. View all South Franklin apartments on a map. Lakes of Windsor Apartments is in the South Franklin neighborhood. South Franklin is the 80th most walkable neighborhood in Indianapolis with a neighborhood Walk Score of 8.